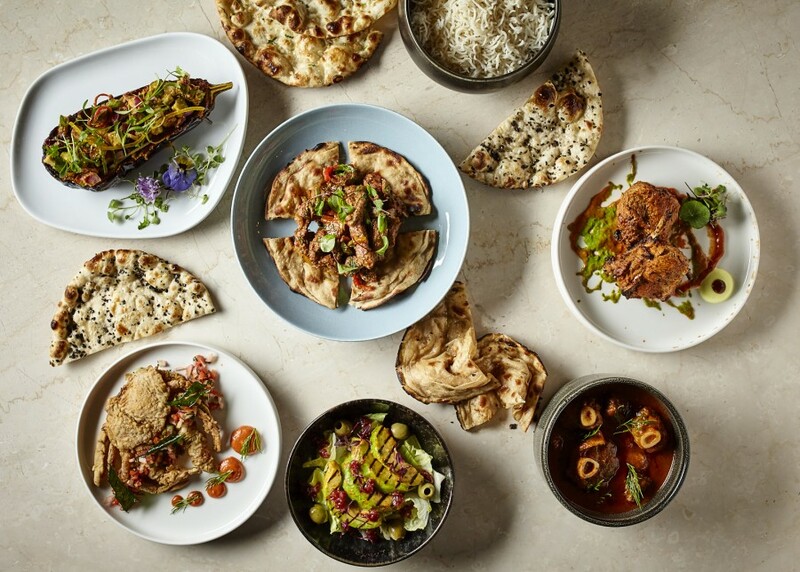 You start the night in Belgravia, descend into a vision of 1970‘s Parisian chic, but when you tuck into the food at Kahani you are transported to the Indian subcontinent with food reminiscent of the finest offerings of Delhi and Mumbai. Peter Joseph is one of a handful of chefs who have won Michelin stars for their sophisticated takes on Indian classics. Over the past half-century, these few have changed perceptions of how subtle and refined the cuisine can be, surprising and delighting the tastebuds of a generation raised on bog-standard curry houses. 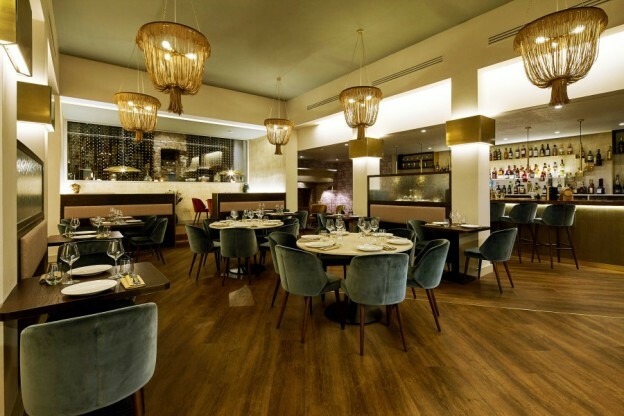 Joseph retained the star Atul Kochhar picked up at Tamarind, the first Indian restaurant to win Michelin’s seal of approval, and has brought fellow alumni of Tamarind to Kahani, his own debut restaurant off Sloane Street. 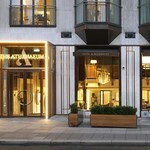 While the sandwich board outside seems a little declasse for Belgravia, the posh kicks in as soon as you enter, leave your coat and descend the stairs into a basement dining room big on bling. 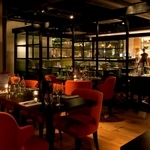 Bags of brass trim, flamboyant light fittings and a big, buzzy bar set the scene, and two corner tables on a raised platform offer a prime view of the chefs preparing desserts behind a glassed-in kitchen, though their bare wood tables and plain banquettes seem more Birmingham conference centre than Belgravia watering-hole. Doubts about the decor evaporate over theatrical cocktails like Tandoori Ananas based on grilled pineapple and The SW1, a spicy take on a margarita served from a decanter oozing applewood smoke. Freshly-made pappadums and small plates prepare the palate for the mains which are the star of the show. 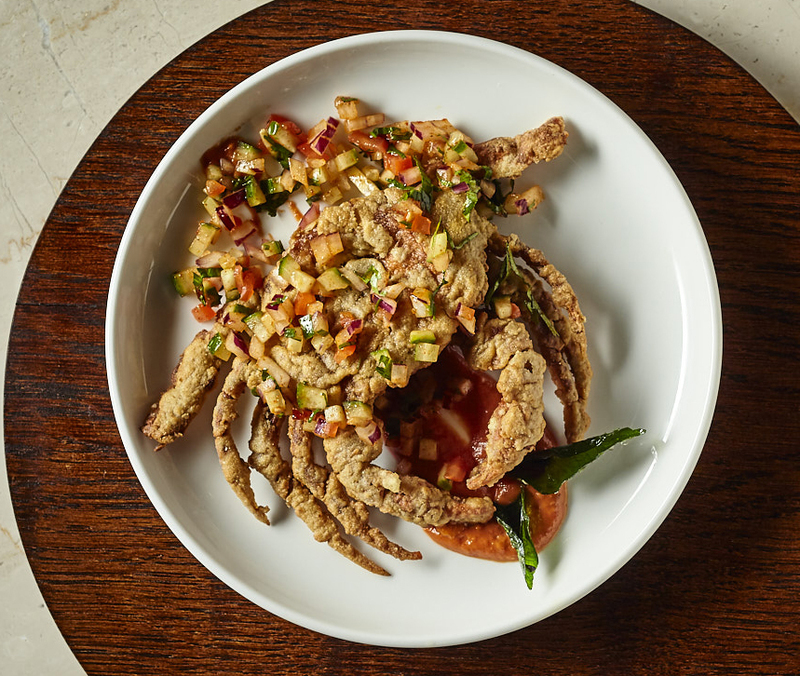 Smoked Malabar prawns were exemplary, ditto the soft shell crab with Mangalorean spices which replaced a first order which arrived undercooked. No such complaint with the Somerset lamb chops served well-done as Kahani’s regulars apparently demand; this diner loved the spicing but would have enjoyed them a tad juicier. It’s in familiar dishes like butter chicken and lamb biryani where Kahani comes into its own – they may not have been endowed with a modern take, but the depth of flavour Joseph insinuates into these classics is unrivalled. Black dal is properly simmered for several hours with a touch of cream at the end; better than the yellow dal which is served beside it as part of a pair. The most unlikely twist on a classic is one of the best things we taste – a thin and crispy naan embedded with melted Gruyere cheese. 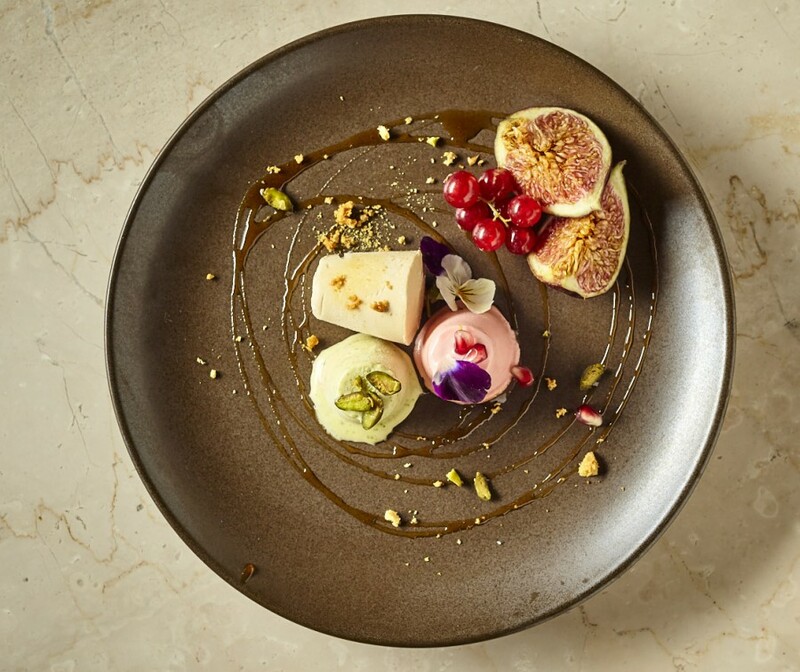 Desserts are not always a strength of Indian restaurants but Joseph’s trio of pastel-coloured kulfi knocked our socks off – one little pyramid infused with rosewater, another with pistachio and cardamom, the third with salted caramel. Like the best Indian food, the subtle spicing leaves you wanting more – and unlike even the best Chinese food, dinner at Kahani will never leave you hungry, even though portion sizes speak to quality rather than quantity. 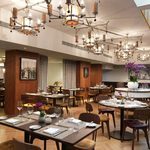 Kahani can be a pricey proposition, as its Belgravia address suggests, but judicious choices lessen the pain. Two people sharing a starter of Malabar prawns followed by one order of butter chicken and some naan and dal would not leave hungry for an outlay of £50. Add in a couple of those spiced margaritas and a kulfi and you’ll have had a delicious and memorably exotic night out without breaking the bank. Sign me up for the TripReporter newsletter! Be the first to read about all our new content. Liked this story? You might like these too.